Water buffalo produce a milk with a much higher butter fat content than standard cows milk, making for a rich, flavoursome taste. A good source of minerals like magnesium, potassium, and phosphorus. With less choleterol than cows milk. Buffalo’s milk is good for healthy bones, and teeth. Enjoy it cold on its own or on your favourite cereal. 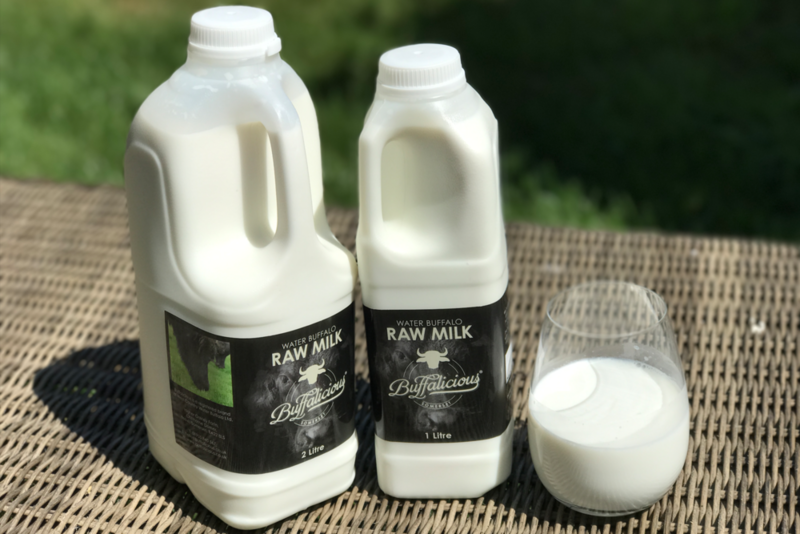 We hope you love our silky smooth pearl white milk, which comes from our happy grass fed water buffalo here in Somerset. To try if for yourself come and visit our farm shop. Here we can talk about the herd about the funny things that they do perhaps what they like, whilst they are basking in the somerset sunshine.